EAMON GILMORE has said he has been assured by the United States that it has not used Shannon Airport for rendition flights, despite an American court case appearing to indicate otherwise. The Tánaiste and foreign affairs minister told party backbencher Joanna Tuffy that he had sought assurances from the United States that it had not used the airport to transfer prisoners between the US and other territories. Gilmore is currently in New York attending the General Assembly of the United Nations. Email “Gilmore accepts US assurance of no rendition flights through Shannon”. 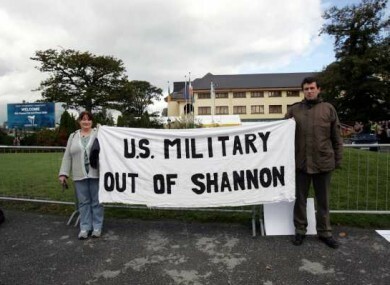 Feedback on “Gilmore accepts US assurance of no rendition flights through Shannon”.